Treating obesity is not a â€œone size fits allâ€ proposition. Your unique situation must be successfully addressed around lifestyle, stress, history, your hopes and dreams, and your specific health concerns. Hypnosis has been proven to centrally support weight loss. When hypnosis is combined with related counseling, behavioral, and lifestyle concerns and needs, weight loss is successfully achieved and sustained. Certified hypnotherapist, community health and psychiatric nurse, Marjorie Baker Price works with people individually with compassion and astute intuitive, as well as clinical, expertise. Specializing in behavioral health, and issues of loss and recovery, she has helped countless people achieve weight loss success. Marjorie Price has continued for twenty years to expand her Centering for Self-Healing and Empowerment counseling and holistic practice in the greater Rochester, New York area. Â·	three custom-designed CD's to reshape your body, mind and life and lose the weight you want and need. 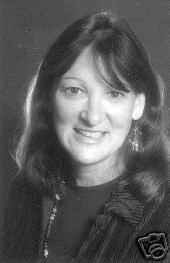 Marjorie Baker Price is a psychiatric nurse, certified hypnotherapist, and Level III Reiki Master with specialized training in relaxation and imagery, energetic healing and creative expression techniques, crisis intervention, grief work, and behavioral and recovery therapies. Since 1988, she has crystallized this broad range of experience into a unique therapeutic approach she calls CENTERING. Marjorie has helped thousands of people lose weight and keep it off, and she can do the same for you! See why Marjorie's unique approach to therapy and self-healing is so widely recognized! Reshape your health, your life, and your body! Donâ€™t â€œweight aroundâ€ anymore! Order today!